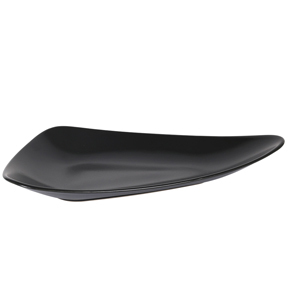 With a distinctive curved tear drop shape and matte black finish, the Vendome Black Trays are perfect for creating a unique foodservice. Made from a solid stoneware body, this Viejo Valle offers excellent strength and is ideal for showcasing mains, appetisers or sharing platters. These Vendome plates are perfect for bringing an contemporary touch to modern restaurants and hotels. Also available in white.